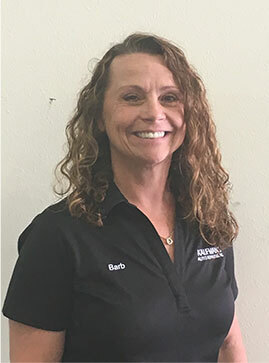 Meet Our Team - Kaufman's Auto Repair Inc.
Barb is our Service Writer and she will always greet you with a smile. She has 30+ years in customer service and has been with Kaufman’s for 1 year. She enjoys boating, fishing and cycling. As the owner, I am here to personally see that we exceed your expectations. I have over 40 years of experience in the auto repair and maintenance industry. Feel free to stop by and introduce yourself and check out our repair facility. It would be a pleasure to meet you! Rob is our lead technician. 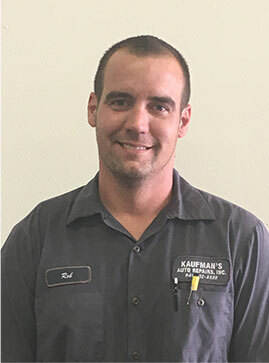 He has been with Kaufman’s for 1 1/2 years and has 11 years of experience in automotive repair. He enjoys networking and also helping friends/family with their auto repairs needs. Jimmy is family! 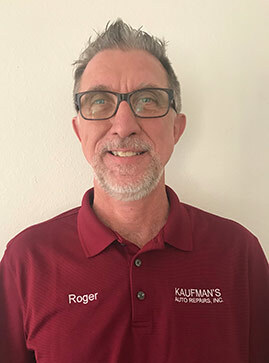 He has been a member of the Kaufman’s team for 5 years and Roger has known and worked with Jimmy for over 25 years. 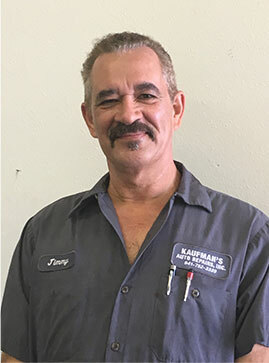 Jimmy has 45+ years in the automotive repair industry. He enjoys spending time with his family when he is not working. If you get the chance, ask him about his favorite family member…Coco. He will be happy to share pictures. Rhonda has been an integral member of the Kaufman’s team since the beginning. 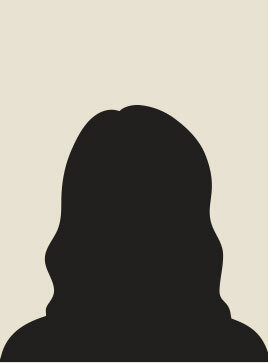 You will just have to come by and meet her!